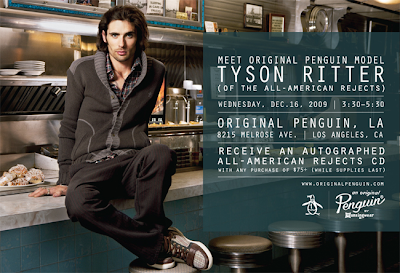 "Meet Original Penguin Model – TYSON RITTER(of the All American Rejects) Wednesday, December 16th 2009 3:30-5:30 PM Original Penguin, Los Angeles 8212 Melrose Avenue ** Autographed All-American Rejects CD **(with any purchase of $75 or more)"
Tyson Ritter is so freaking cute, omg !!! I love him.... I mean seriously, looking that good should be sin!!! 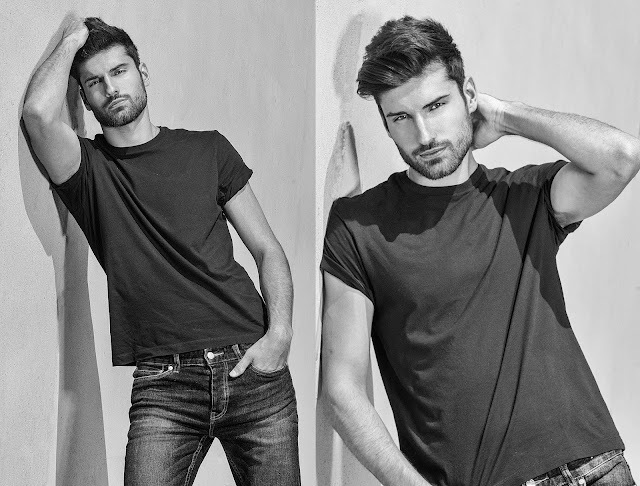 Tyson is a sinner; you just wanna spank him, for looking so damn good!! !emmm…..if only, I wish!! !